This week on Earthgauge Radio, we launch a new series in which we will feature leading, influential thinkers who can provide some big picture context to the issues that we discuss on this program such as climate change, energy, economics, ethics, sustainability and development. 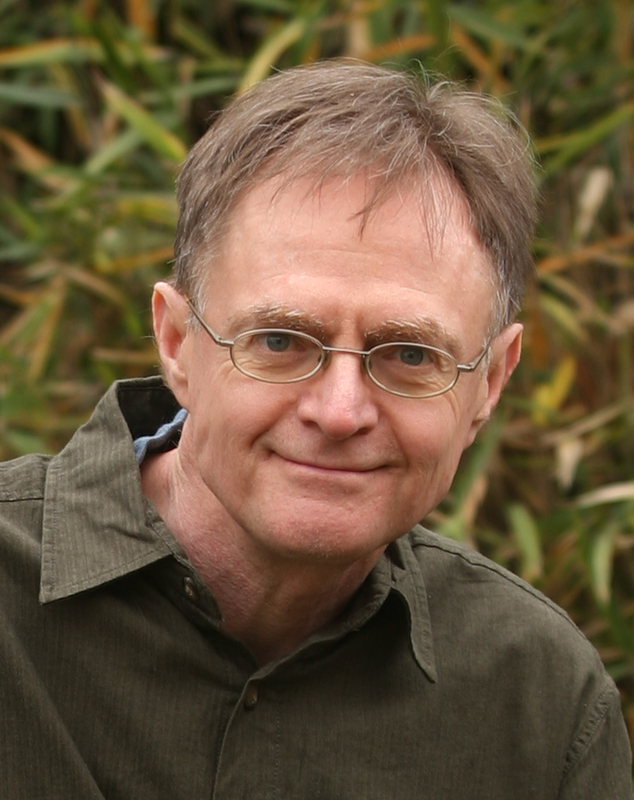 We will kick off this ‘Big Picture, Big Thinkers’ series with a speech today by the influential author Richard Heinberg from the Bioneers Conference back in November 2012. Heinberg is a senior Fellow-in-Residence at Post Carbon Institute, a nonprofit organization dedicated to building more resilient, sustainable, and equitable communities. He is perhaps best known as a leading educator on Peak Oil—the point at which we reach maximum global oil production—and the resulting impact it will have on our economic, food, and transportation systems. Heinberg has spent his career thinking about critical issues including the current economic crisis, food and agriculture, community resilience, and global climate change. Now he’s contributed to a new book on the topic called Energy: Overdevelopment and the Delusion of Endless Growth. He is also the influential author of The End of Growth, Peak Everything and The Party’s Over, among other books. He is widely regarded as one of the world’s most effective communicators on our global energy future and the urgent need to transition away from fossil fuels. This speech was recorded by Kelly Pearce of the Chicago Independent Media Center for Radio EcoShock. 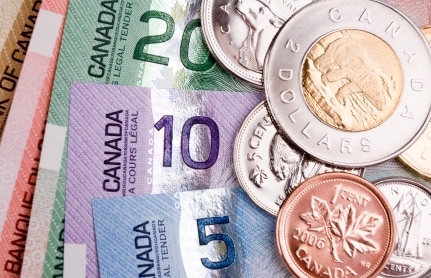 The talk is called Life after Growth: why the economy is shrinking and what to do about it. Also on the program we have our usual update on local environmental events and campaigns from Ecology Ottawa. Click the audio player above to hear my interview with Donna Balkan who is the Communications Manager for the Canadian Co-operative Association in Ottawa. Right click here to download the file (14:30). Did you know that 2012 has been designated by the United Nations as the International Year of Co-operatives? This was done to highlight the contribution of cooperatives to socio-economic development, particularly their impact on poverty reduction, employment generation and social integration. Now Earthgauge Radio is an environment show of course but if we are to have any hope of solving some of our very serious environmental problems, it seems clear to me that we’re going to have to look at moving towards business models that do not place the profit motive of shareholders as the primary force driving our economies today at the expense of social and environmental concerns. Co-operatives operate very differently. Although they are still businesses and need to make profits to survive, co-ops are guided by other values and the objective to meet the common needs of their members. It may be for these reasons that the popularity of the co-op business model is exploding across Canada and around the world. Co-ops simply seem to be a much more sustainable, and frankly less destructive business model and we can only hope that they continue to grow in importance here in Canada and abroad. In our interview, Donna explains some of the benefits of co-ops and their potential as an alternative business model. 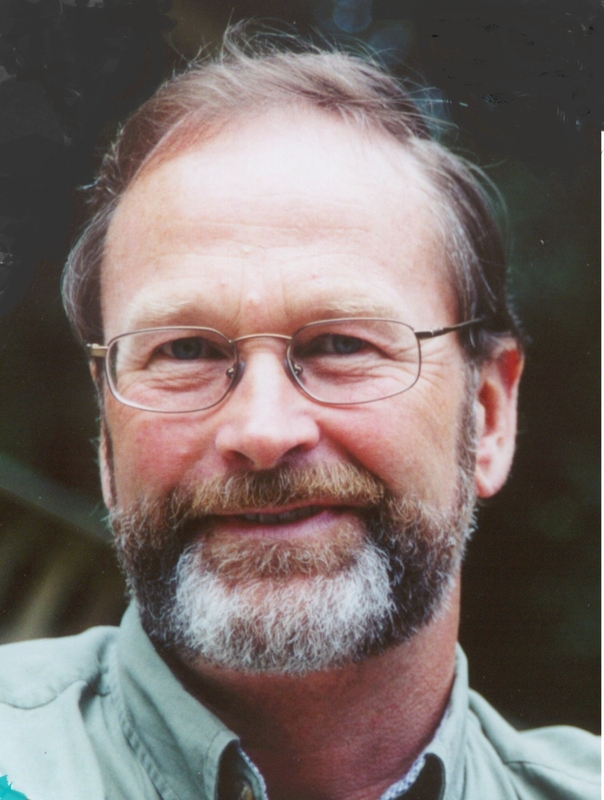 On Earthgauge Radio this week, I re-broadcast a full feature length interview I did with the renowned UBC ecologist Bill Rees, who was recently honoured with the prestigious Blue Planet Prize. Rees and Mathis Wackernagel are responsible for coming up with the concept of the ecological footprint, which has revolutionized the way the world looks at sustainability. Basically, the ecological footprint tool is a comprehensive accounting system that measures human carrying capacity and helps assess the risks of overconsumption to planetary stability. In recognition of their work, last month Rees and Wackernagel were awarded the Blue Planet Prize, which is an award given by Japan’s Asahi Glass Foundation to recognize leaders who make a difference in safeguarding biodiversity. Rees and Wackernagel join the environmental scientist Thomas Lovejoy as this year’s winners whose names are added to a veritable who’s who in the conservation world, with past winners that include Lester Brown, James Lovelock, David Brower, Paul Ehrlich, Theo Colborn, Gustave Speth, Amory Lovins, and James Hansen. A handful of organizations have also been recognized by the prize, including IUCN and Conservation International. I spoke with Bill Rees last year and this week as part of our Earthgauge Radio summer schedule I am rebroadcasting the full interview in 2 parts. If you’re not familiar with Rees or his work, and even if you are, you’re going to want to check this out as it’s really fascinating and important stuff. The ecological footprint concept is not just about ecology and conservation, it is particularly relevant to our entire economic system and provides an excellent means of understanding why the global economy is so unsustainable. We also have our usual segment from our friends at Deutsche Welle radio who bring us the latest in interntional eco-news. Earthgauge Radio is broadcast every other Thursday morning at 7:00-8:00 AM on CKCU 93.1 FM in Ottawa. No, this is not our take on the growing interference of big money in the political system. Instead, we first take a look at the meaning of wealth in our society and how the concept of wealth been co-opted. Most of us now tend to associate wealth with money but, as Gwendolyn Hallsmith explains, being wealthy means so much more than this. We likely all know individuals who may be financially wealthy yet are unhappy, spiritually or emotionally poor. Likewise, how many people with limited financial means are thriving, active members of their communities, leading fulfilling lives they enjoy and making contributions to improve the lives of others. Are these people not wealthy? Hallsmith argues that rethinking wealth is of critical importance in this age of environmental and economic uncertainty as we urgently need to think about how we can build the economic and environmental resilience of local communities. She is a Director in the Department of Planning and Community Development for the City of Montpelier, VT and is the co-author of a recent book called ‘Creating Wealth: Growing Local Economies with Local Currencies’. What does this have to do with the environment? Well, a lot actually. As she tells me in our interview “if you’re interested in the environment, you ought to be interested in the monetary system.” We all know that building strong, sustainable local economies will be critical to increasing both economic and environmental sustainability in the future. Creating Wealth demonstrates how a healthy society can be attained through developing new systems of exchange. This can be done by adopting alternative local currencies to be used as complements to national currencies or by implementing creative initiatives such as time banks, and systems of barter and exchange. Hallsmith believes that these measures can empower cities and towns to build vibrant, healthy, sustainable local economies and in our interview she explains why she is so passionate about the potential transformative power of alternative currencies and why there is such a desperate need to improve our monetary system. Now for the politics. I also have an interview today with federal NDP leadership candidate Nathan Cullen who spoke at the University of Ottawa last week. He was the environment critic for the NDP so I caught up with him and asked him some questions about the proposed Northern Gateway pipeline which, if constructed, would transport tar sands crude from northern Alberta through Cullen’s riding of Skeena-Bulkley Valley in northern B.C. He has some strong opinions about the pipeline as well as some provocative ideas about how opposition parties can team up to defeat the governing Conservatives in the next general election. His proposal has been generating a lot of controversy so I wanted to find out how it would work and why he feels defeating the government is such an imperative. I also have some Canadian eco-news on the show and we have our usual segment with Kathy of Ecology Ottawa who updates us on local environmental events and campaigns. I have listed some of the upcoming events below or you can click here to see a complete list with full details. Tuesday, February 28, 2012 there will be a City Council Meeting of Planning Committee from 9:30 am to 12:30 pm at City Hall, Champlain Room. Just Food Ottawa is hosting a “Storage of Vegetables and Fruits Workshop” on the 28th from 7 to 9. at the Sandy Hill Community Health Centre at 88 Main St. Space is limited, so contact Emily at cgnintern@justfood.ca or call 613-699-6850 x12 to reserve your spot. Wednesday, February 29th Just Food and FarmStart, will be offering an “Exploring Your New Farm Dream Workshop”for people who are thinking about starting a commercial farm business. The course helps aspiring farmers learn what it would take to start and manage their own farm dream For more information and to register, please go to: www.farmstart.ca/explorer/ the workshop will take place from 6:00 to 9:00 pm at yet to be announced location. Wednesday Feb 29th and Wednesday march 7th Just voices, Ottawa’s only environmental and social-justice themed choir. Will hold their Weekly Environmental Choir Rehearsal from 7 to 9 at the Bronson Centre. Seedy Saturday is being held on Saturday, March 3rd, 2012 from 10 am to 3 pm at the Ron Kolbus community centre located at 102 greenview avenue. Seedy Saturday is the foremost opportunity to buy, trade, ask about and learn about seeds adapted to the Ottawa area. For more information visit www.seeds.ca and click on “Events” to find out more. Maryland to use Genuine Progress Indicator in measuring progress: Is Happiness Really Priceless? Jessica Pearce Rotondi: Is Happiness Really Priceless? For regular readers of Earthgauge, you will know that I have often written of the need to make use of alternative economic indicators besides the GDP (Gross Domestic Product). The GDP is merely a measure of the total economic activity in a country and ignores whether such activity is good or bad for society as a whole. For this reason, more oil spills, litigation and increased cancer rates actually cause the GDP to go up. This would be no big deal if economists and the media at large didn’t take the GDP so seriously and use it as the principal indicator of whether the economy is faring well. We hear ad nauseum that things are good when GDP growth is going up. When GDP is flat or, heaven forbid, going down, we are told the economy is in a sorry state indeed. Two consecutive quarters of negative GDP growth are, after all, the textbook definition of a recession. The assumption is that people are suffering when the GDP is not growing and this may indeed be the case for some. But GDP growth does not necessarily indicate that we are any better off either. If we liquidate our forests, for example, the GDP would go up considerably at an obvious environmental and long-term cost. Rapid exploitation of the Alberta tar sands will also boost Canada’s GDP considerably without accounting for the environmental devastation taking place or the tar sands’ contribution to climate change. Turning what “makes sense” in people’s life decisions into actual cents, GPI assigns a dollar value to things like housework, volunteering, and commute time, while subtracting from GPI the cost of crime, divorce, and water pollution. The goal of GPI is to look beyond bottom lines to take into account the many disparate economic, environmental and social elements that make up our lives and using that data as an indicator of social progress. This is encouraging news indeed. We can only hope that Maryland’s adoption of the GPI is a measure that other jurisdictions will watch closely and soon follow.